Acorns are beautiful. I love the rich colour, the smooth compactness and the way the seed fits so snugly into the tiny cup. When I was a child we called them fairy cups. And the transformation from a miniature thing to a magnificent oak still fills me with wonder. But the acorn has a message for us as well. Over 2000 years ago Aristotle said: 'Each human being is bred with a unique set of potentials that yearn to be fulfilled as surely as the acorn yearns to become the oak within it.' Many other thinkers have developed this theme, for example James Hillman in 'The Soul's Code', and it fits well with the positive outlook of psychosynthesis. The key point is that no-one needs to tell the acorn how to grow - IT KNOWS! And each one grows into a unique tree, not quite the same as any other oak. 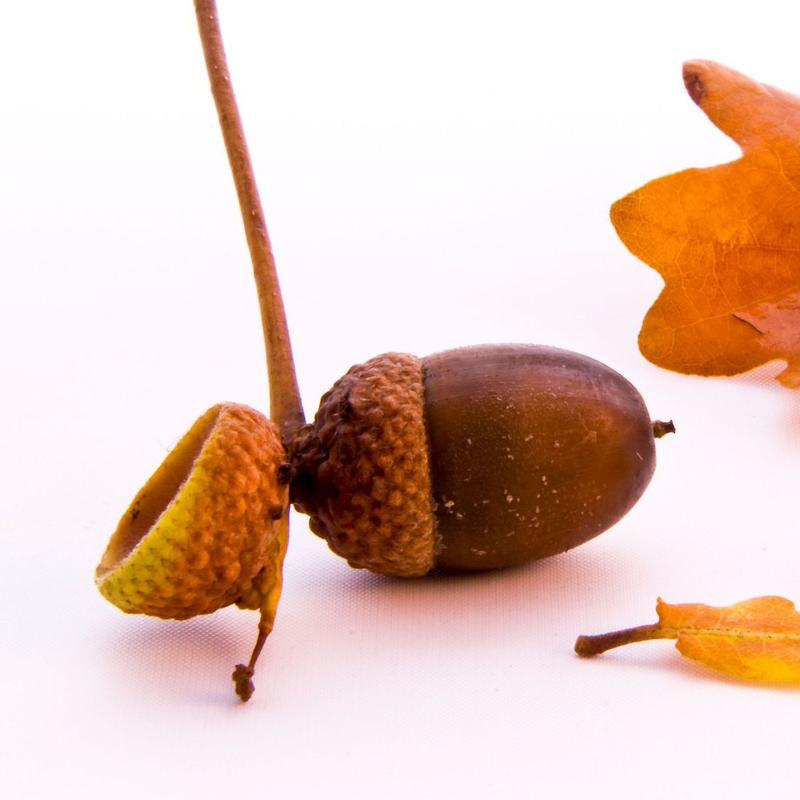 Just like acorns we have own inner knowledge of how to grow and develop psychologically as well as physically. In the same way that the acorn needs the right external conditions to grow well and unfold according to its pattern, so do we. Our development may be distorted in the absence of secure relationships or an encouraging environment where we can try new things. But like the oak we are flexible and strong, and nurtured by the right conditions, can return to healthy growth. Therapy can provide these conditions and help reconnect us with our sense of self.